The Bâtard Montrachet Grand Cru 2006 by Michel Niellon is a pure delight. 100% Chardonnay, this great white Burgundy vintage wine has a superb intense straw yellow colour with golden highlights. On the nose, it reveals an explosion of fruity scents with yellow tropical fruits, spices and woody notes of rare elegance. 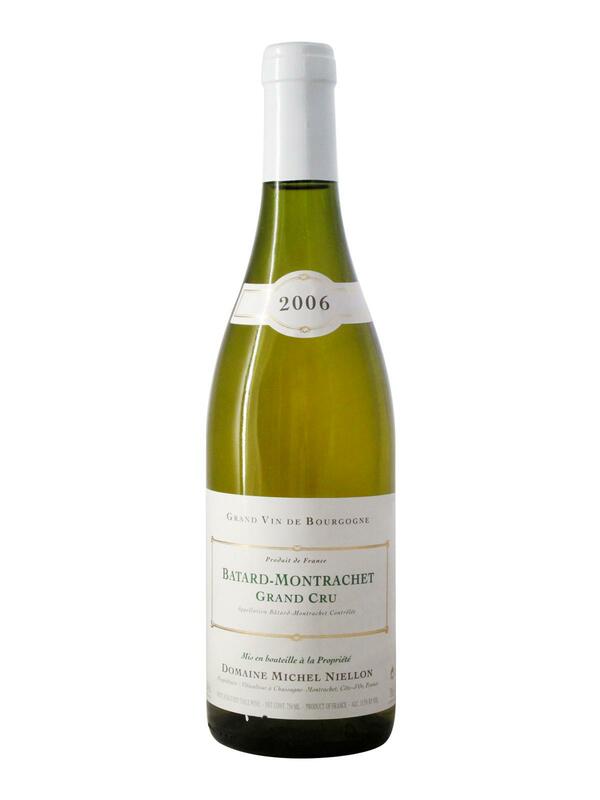 On the palate, the Bâtard Montrachet Grand Cru Domaine Michel Niellon 2006 offers a smooth and opulent palate, without being oily. It evolves in mouth, releasing tasty aromas of nectarines, mangoes, apricots, intermixed with a hint of warm spices until revealing a finale "out of the world" thanks to its power, its precision and its incredible length.